Many homes have this simple at first glance, the device. A thermos, or Dewar, was at the time, invented for the chemical industry, but today is used in all spheres of life, ranging from chemistry and physics to consumer needs. So what to do if a faithful assistant would be out. Determine the cause of failure. If it's in a vacuum tube, repair at home is almost impossible. To do this you need special equipment, allowing to work with the vacuum. The acquisition of which will cost more than the thermos. In this case it is easier to take the thermos to a repair shop or, indeed, buy a new one. If the flask broke, or rusted bottom, to fix it easy. Cut out of ordinary tin-diameter circle with the bottom of the thermos. As a shock absorber between the bulb and cut a circle put the circle of corrugated cardboard (cut from boxes for the appliances) and foil (cut it out of the packing of tea). That way you get good insulation from the bottom. Secure it all with the help of small nails. Make a crosspiece from the rails and nail it to the body of the thermos. You can also make a wooden club, if you have the possibility to cut (then the thermos will have a more aesthetic appearance). If the problem is in the lid of the thermos, more precisely, plugging in the tube, it is also solved. Old cork clean and wrap tight synthetic cloth in several layers. On top of it glue or tie a plastic or rubber layer (you can take material from ordinary rubber gloves). All this wind at the base of a sturdy harness and fit the blanking in place of the old plugs. This design is temporary and not very aesthetic, but functional and help to keep you warm. 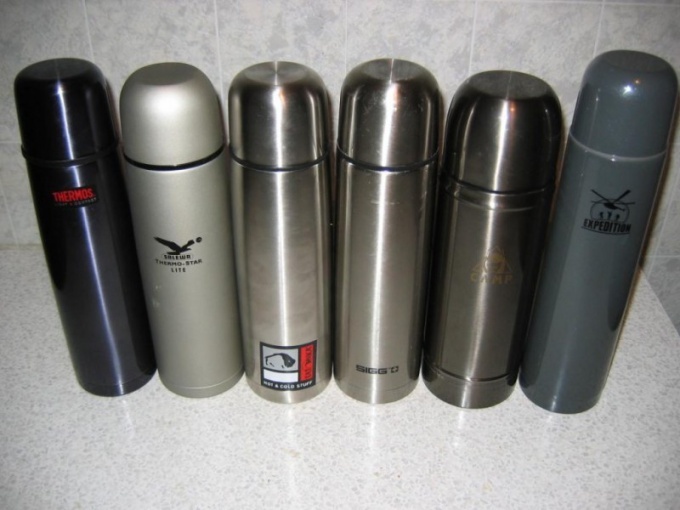 If wrinkled outer shell of the thermos, and the tube itself is not damaged, take the flask to the nearest garage, there is something for sure will help to deal with the dents. However, you can try to straighten the dent with a hammer, but run the risk of damaging the internals (see step 1).